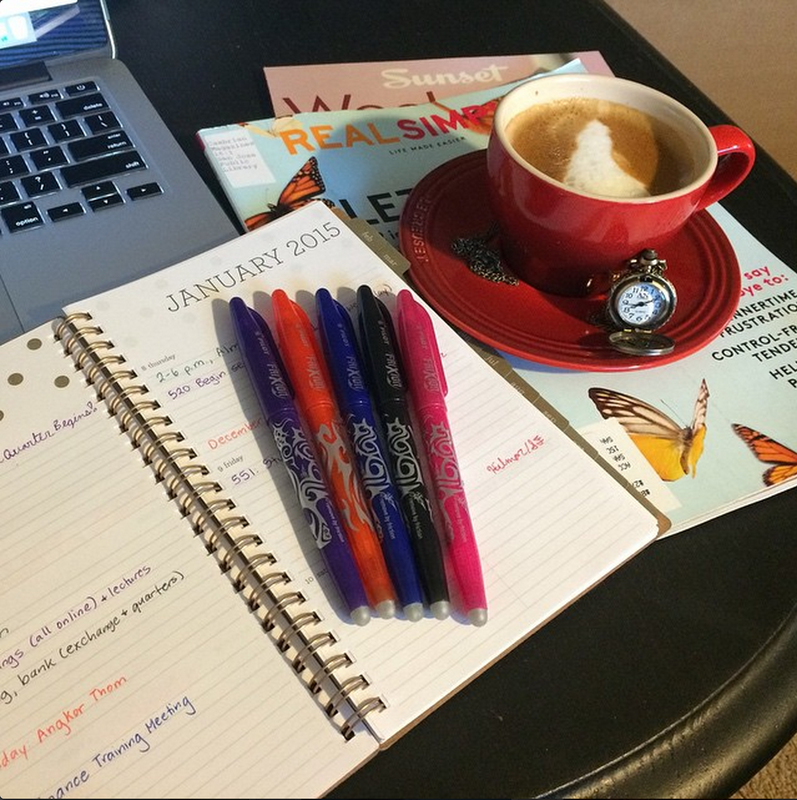 Reader Survey Results & What to Expect in 2015! 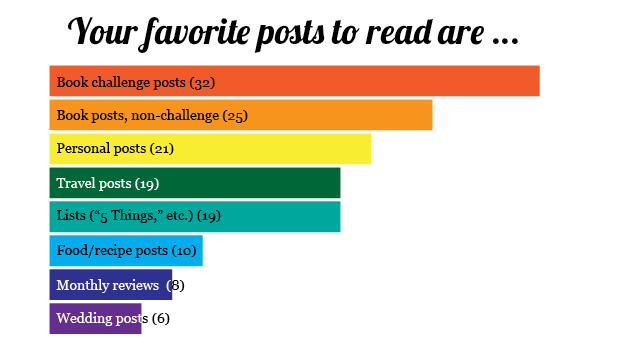 First, thanks to each and every one of you who participated in my reader survey last month! 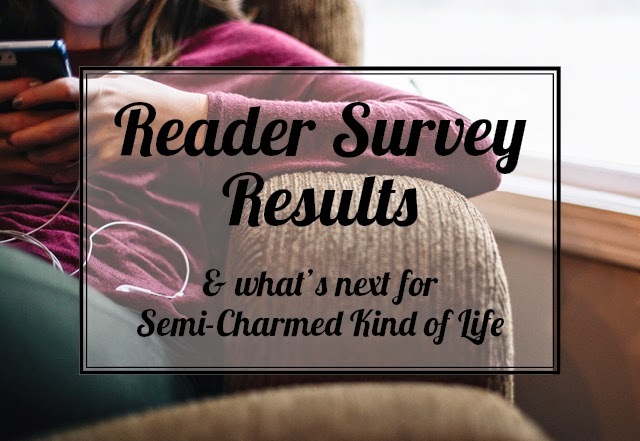 I've finally gone over the results, so today I wanted to share the highlights and also how I'll be using this information to improve Semi-Charmed Kind of Life this year. 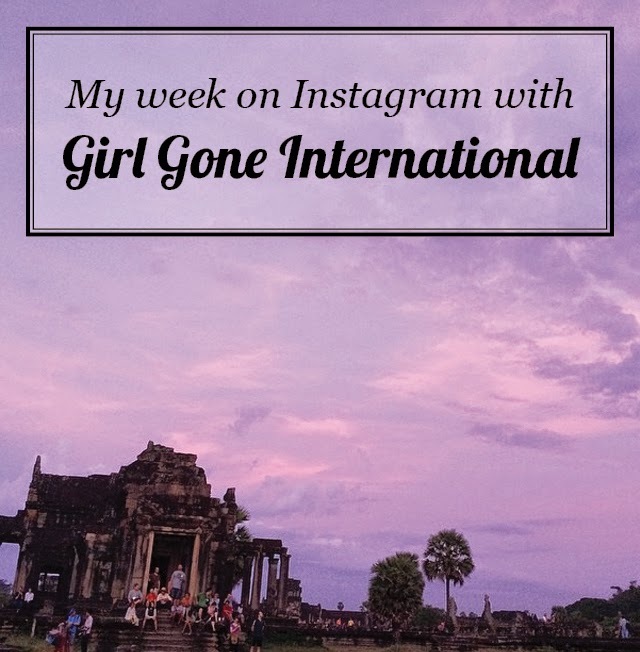 I still have plenty more pictures to share from our time in Cambodia, but this week I thought I would take a break and fast-forward to the next destination of our honeymoon: Chiang Mai, Thailand! Specifically, the Baanchang Elephant Park north of the city. As I mentioned before, when Jonathan said he wanted to ride elephants during our honeymoon, I was concerned with the ethical issues around animal tourism. 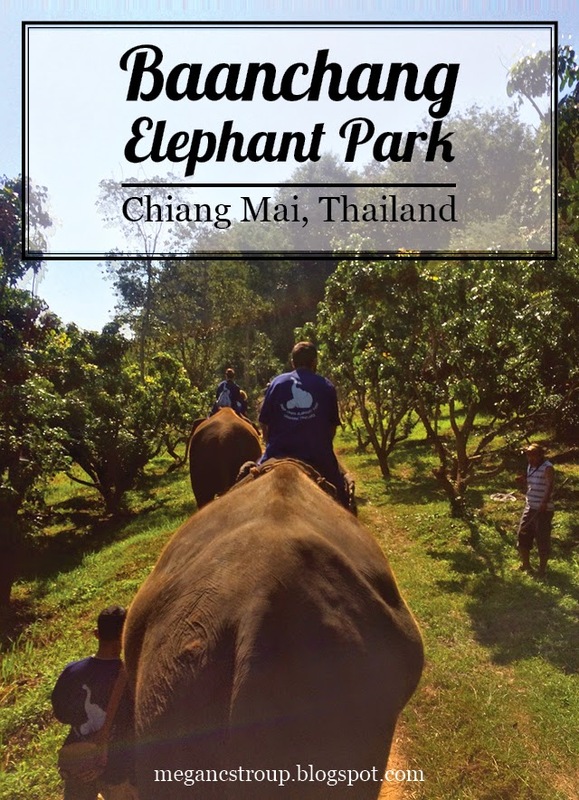 So, I Googled "ethical elephant riding in Thailand" and found several possibilities, including Baanchang Elephant Park. I then looked each of the locations up on Trip Advisor to seek corroboration of their claims of ethical treatment. Several of the parks had reviews noting visible animal cruelty or otherwise unpleasant experiences by the visitors, but Baanchang's reviews were positive overall, and many users noted the respect between the mahouts and the elephants at this park. So, Baanchang it was! 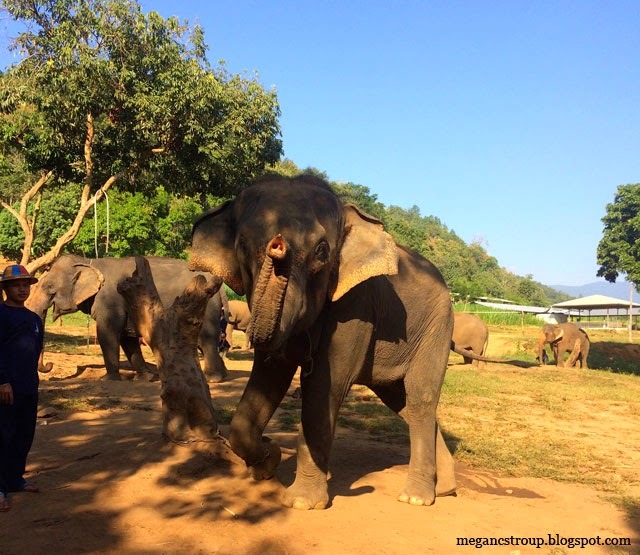 Riding elephants was part of the package, but the focus was on elephant education. We learned about the various circuses and cities the elephants had been rescued from, which unfortunately included some pretty horrific stories about the abuse the elephants had endured. :( We also spent quite a bit of time feeding the elephants, which was amazingly fun! The park buys all their produce from local villages to help support the local economy, which I thought was pretty neat. reading | This Book is Overdue! : How Librarians and Cybrarians Can Save Us All, by Marilyn Johnson. This is my "book from a genre I don't usually read" for my winter book challenge. Although I enjoy narrative nonfiction, I almost never read straight nonfiction, so this will be different for me. 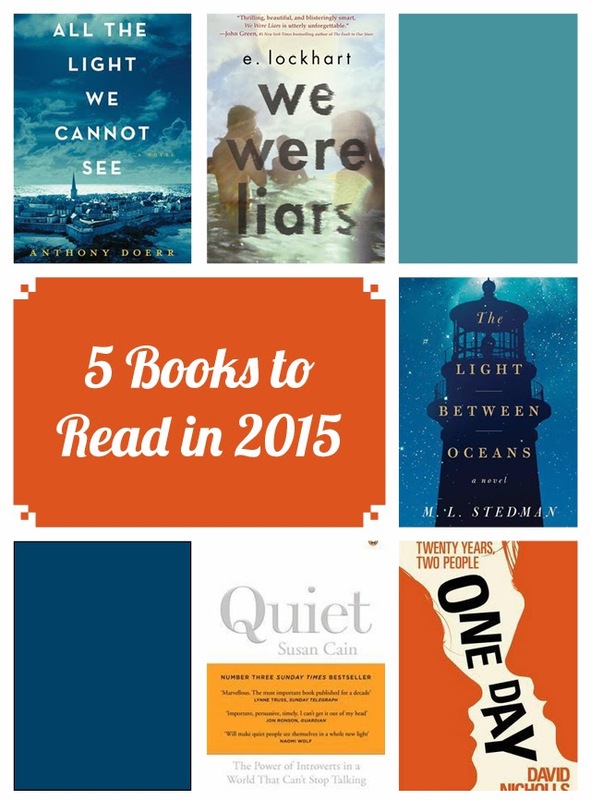 I also don't read as much narrative nonfiction as I would like; that's one of my goals for this year! listening | to Birdy, Ed Sheeran and Mat Kearney nonstop on iTunes Radio. Obviously, you'll want to complete this checklist before starting any items in this post (or even before getting engaged, if possible!). But after the question has been popped, there are some things you should get started on fairly early if you want to have a stress-free planning process. I've labeled this the "9-16 Months" checklist because I read somewhere the average engagement is 16 months long, but I know not everyone has the benefit (or curse, depending on your perspective) of a long engagement. 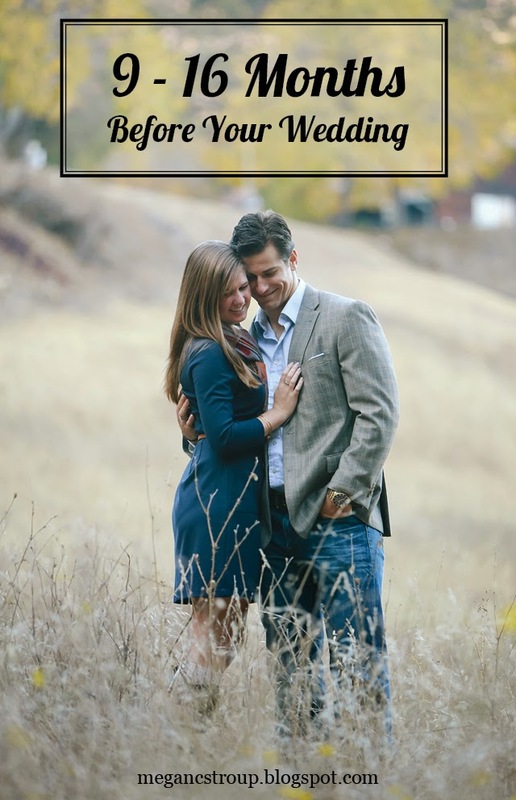 Ultimately, I think these are the 10 wedding-planning items you should do first to avoid scheduling conflicts, set clear expectations and reduce stress, regardless of the length of your engagement. 1. Figure out your budget. Everything else on this list pretty much depends on this biggie: How much money do you have for your wedding? More importantly, how much do you want to spend? Now is also the time to figure out how much money (if any) your parents or other parties are planning to contribute, so you can all have the same expectations heading into the planning process. I believe there should always be an answer to the question, "What are you reading?" 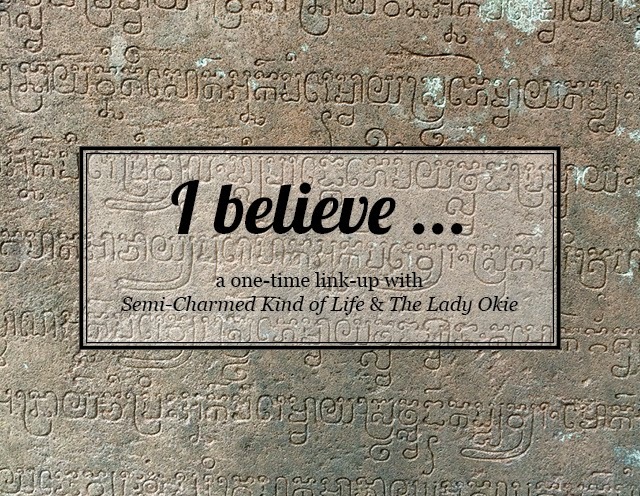 When I saw one of my favorite bloggers, Amanda from The Lady Okie, was co-hosting a link-up today called "Never Have I Ever," I just knew I had to play along. How fun is that?? >> been to South America. Or Australia. Or Antarctica. 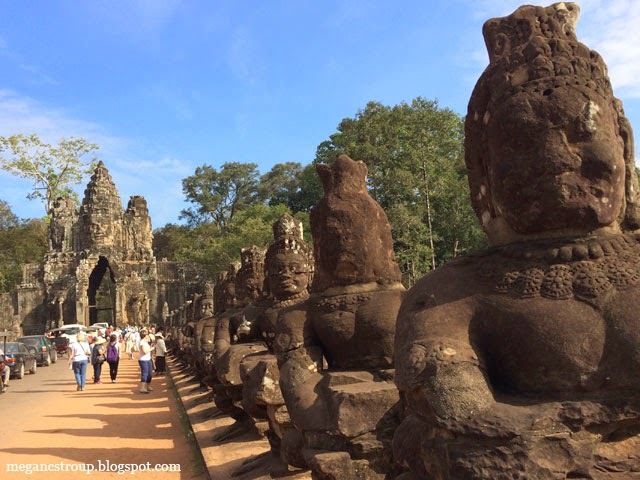 After exploring the temples of Angkor Thom on our first full day in Cambodia (including Bayon Temple, which I shared last week), we headed out to Banteay Srei in the afternoon. 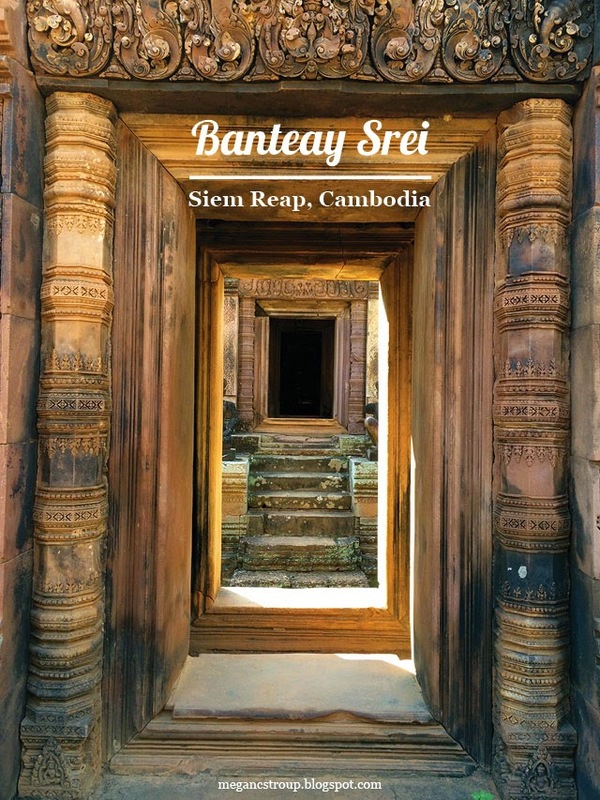 It's a bit of a drive from the city of Siem Reap, but it is definitely worth the extra time because of the intricate nature of the carvings. 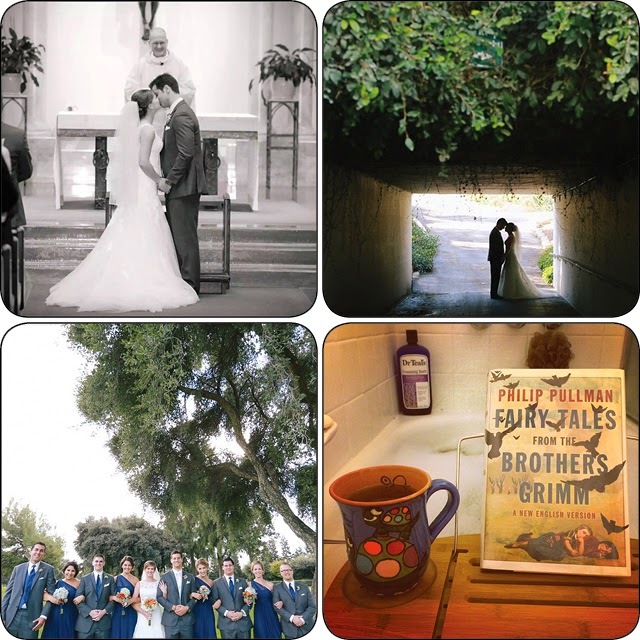 Considering we received our professional wedding photos during our honeymoon, it's no surprise the three most popular posts on my Instagram in December were mostly wedding shots. :) But the fourth post is also quite exciting: I first learned about this magical bathtub tray on Nicole's blog months ago and mentioned how awesome it was. Luckily, my husband remembered and gifted me with the tray (and a bathtub pillow!) for Christmas. The other side of the tray is made for a wine glass, so you can bet I'll be getting a lot of use out of this baby this year. In addition to celebrating Christmas with the in-laws last month, Jonathan and I also traveled down to San Diego to visit my sister and her boyfriend in the middle of the month, and we flew down to southern California again on New Year's Eve to spend that holiday with my mom, who recently moved to Pasadena after spending several years living abroad. 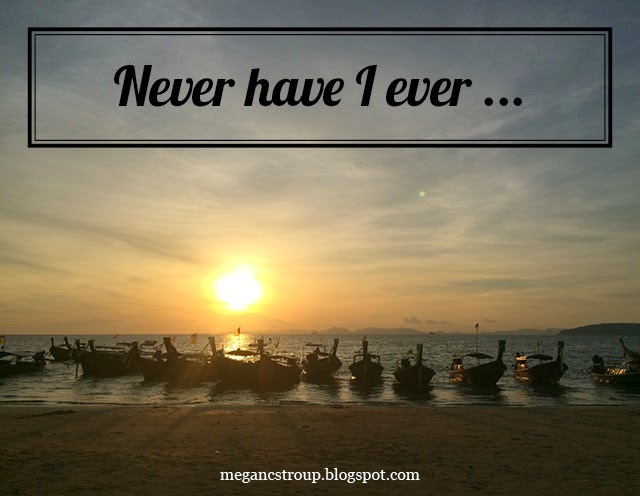 Last November, my husband and I honeymooned in Southeast Asia. We visited both Cambodia and Thailand, and though Thailand was the main part of our trip, I actually ended up loving Cambodia so much more. 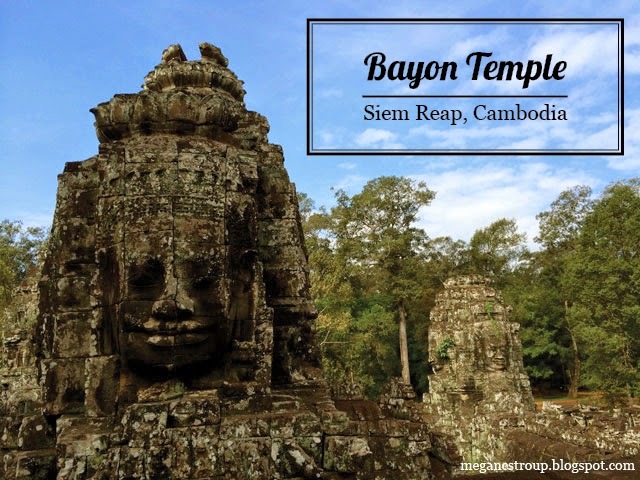 One of the first temples we visited was Bayon Temple inside the Angkor Thom complex. Whereas Angkor Wat, the largest and possibly most famous Hindu temple in the world, is one huge temple; Angkor Thom is one huge complex with multiple temples inside, including this one. 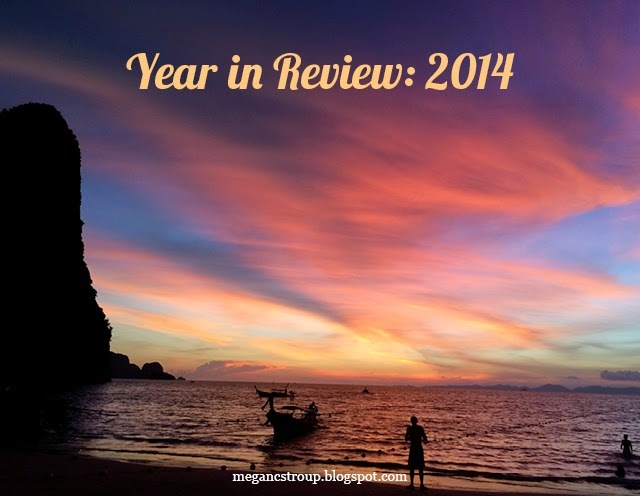 This past year was certainly not as travel-heavy as 2013, but Jonathan and I were still able to visit a few states and travel abroad once for our honeymoon. We also traveled quite a bit within the state of California throughout the year, including weekend trips to San Diego, Sacramento, San Francisco, and multiple trips to the Central Valley for wedding-planning shenanigans. 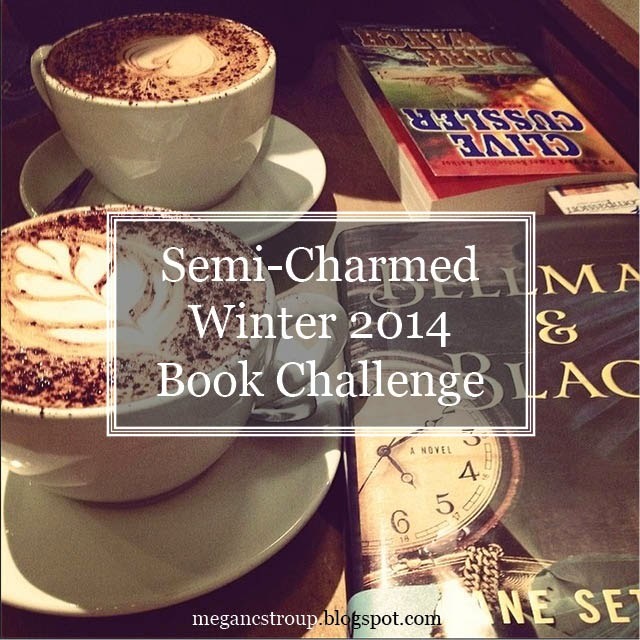 Happy New Year and welcome to the second Semi-Charmed Winter 2014 Book Challenge check-in! If you're new to the challenge, feel free to review the rules for the winter challenge here. Remember, all books you've read back to November 1 count, even if you join the challenge today! Continue reading after the jump to see the current scoreboard and learn how to check in with your progress. And if one of your New Year's Resolutions is to be more fiscally responsible, maybe this giveaway can start you off on the right foot! :) Check out the other 11 lovely bloggers below and enter to win $150 using the Rafflecopter after the jump. The giveaway ends next week. Happy New Year!